Another fantastic running of this great run, now in its 30th year (that’s the same birthday as the London Marathon fact fans!). 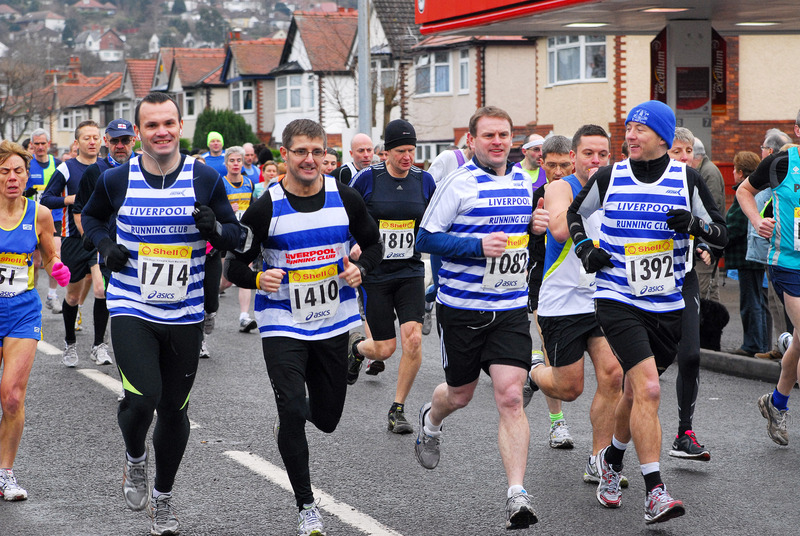 Growing from strength to strength from around a 100 runners in 1982, the race now boasts a reputation for smooth organisation, always gets great ratings, and always sells out quickly. 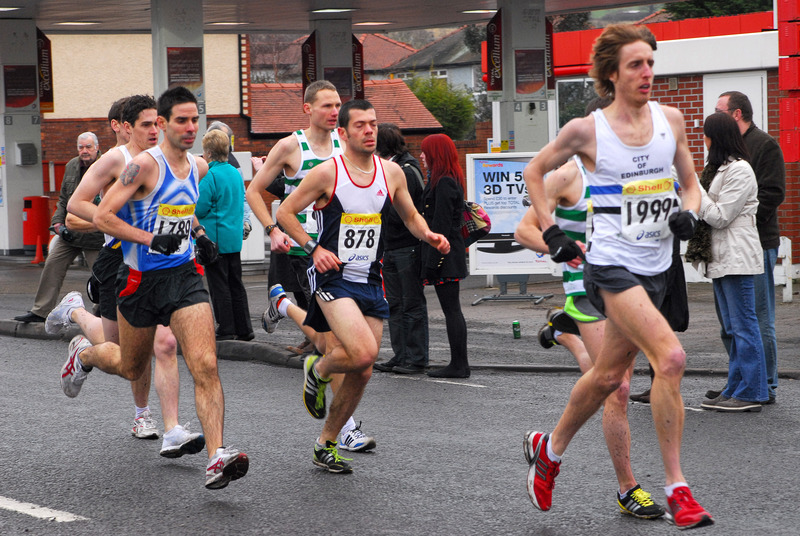 The Helsby Half, as it is affectionately known, has just been voted no7 in the Runner’s World list of Britain’s favourite half marathons. Sunday 23 January saw a 2000 entry running the scenic course around the Cheshire plain …although those struggling up the long drags between miles 8 and 11, would probably argue with that description! There is some payback for tired legs in a big downhill to the 12 mile marker and a fast, flat run in to the finish. This year’s half was the first event in the Cheshire GP and included a strong contingent of local, county and national standard club athletes, as well as a healthy contingent of just under 50% ‘have-a-go’ weekend warriors. Edinburgh AC runner Neil Renault came home first in a quick time of 1:05:55, closely followed by Tipton’s Michael Aspinall at 1:06:05 and Altrincham’s Dave Norman in 1:07:34. Several athletes came into the race strong and confident and there was some talk of the course record going. As it was Carl Warren’s 2002 time of 1:04:36 was safe for another year. 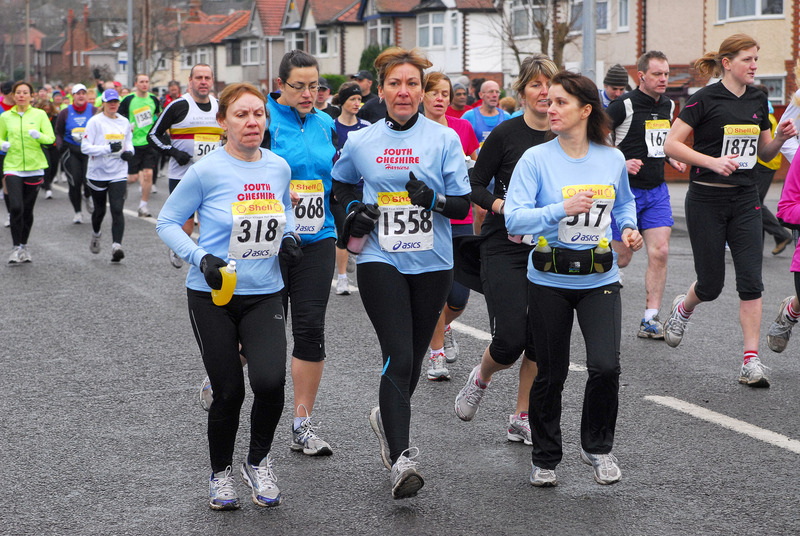 Stoke’s Michelle Ross-Cope came in first woman, first F35 and 18th overall with a time of 1:14:31, followed by Sarah Harris (Long Eaton) 1:14:50 – another close battle – and Louise Gardener (Lancaster and Morecambe) with 1:16:52. Further down the field numerous PBs were broken (including your author’s) on what was a great day for running, featuring cool-ish temperatures in the low single digits, with dry and windless conditions. The race also featured an unusual world record (world’s best to be strictly accurate). Personal trainer and ex-marine Lee Riley is chasing the world record at London for running the marathon with a 40lb rucsac. Today at Helsby he showed the form he’s in by posting a world-beating time of 1h41, knocking over 2 minutes from the previous best. Well done, more about Lee at www.rileyfitness.co.uk. New members are very welcome from amongst the army of unattached local runners that always make this a great local event! Thanks as ever to our regular sponsors Shell, Asics and Running Bear and thanks also to our more recent backers Maxifuel and Northern Running Guide.